Now that I have finished Civil War Bride, I have some spare time on my hands. What will I do? Will I work on finishing some neglected UFO’s or start something totally brand new? Well…since I like to work on a number of projects at once, the answer is…both! I am going to work on finishing up Sue Garman’s “Friends of Baltimore” and I am going to start Sue Garman’s “Ladies of the Sea” tomorrow. I have been wanting to start this quilt for a while now. I showed the pattern to my son a couple of years ago and told him I would like to make it for him. He said “Sweet”. A couple of months ago, he actually asked me if I had started it yet. I said I hadn’t. Last week he asked me again if I had started it and I told him I was getting ready organizing my fabrics and I would start it soon. He said “Sweet. Make sure you make it long enough to cover me”. (He is 6′ 5″.) I was torn between mortified and ecstatic. Mortified because he wants to use the quilt. Ecstatic because he wants to use the quilt! So, the fern block is finished, but still needed a bath. You can read more about “Washing My Blocks” here. While that block was soaking, I started the next block, the fruit bowl. First, I traced the pattern on to my background with a Clover water soluble marker. I used my light box to do all of my tracing. I started with the base of the bowl. All I can think about is how nice it would be to go whale watching right about now! Next, I added some circles. Now I was ready to add some leaves. I have been thinking about leaves lately. Probably because we have been raking them up before the snow falls. Leaves come in more colours than just shades of green. I have been keeping my eyes open for some really different leaf fabrics to add to my stash of applique fabrics. Check these out! I especially like the second one from the left and decided to use that one in this block. I am amazed the speed in which you applique – How long did it take you to stitch that bowl? Also, what does Ladies of the Sea look like? It’s not stitched yet! I will be stitching it this afternoon. Ladies of the Sea has appliqued sailboats on it. You can google it! I so enjoy your posts. Motives me to keep stitching. You will love working on the Ladies of the Sea pattern. I finished that last year and loved every minute of it! Such a beautiful design from Sue Garman! Hi Paula” I saw your Ladies of the Sea on facebook. Beautiful and inspiring! Okay, so you want to go whale watching Kerry – then come to New Zealand. We have world famous whale watching spots out from Kaikoura (ky-koo-ruh) in the South Island. Loving your blog as a fellow hand appliquer! Thanks for updating so regularly. Thanks for the invitation! I may take you up on it one day! What kind of applique do you do? I always find it hard to get back to or start a new one, just after finishing a large quilt. You seem to have plenty to keep you busy sewing. Yes I have lots to keep me busy. 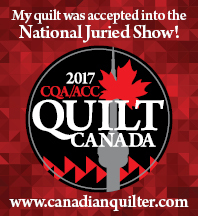 It was really hard to get back to my other quilts after CWB. Thanks, Jay! I will be showing the blocks soon! The blocks are not all finished yet, I want to show them when I have something substantial to show! I know just what you mean, Kerry. I saw the original Ladies and thought it should go in a museum! But you’re right quilts are made to be used. I really love your how-to-posts. They are amazing and also inspiring to at least try also. Thanks for sharing! Hi Kerry I have really been enjoying your projects and the info you pass on. Thanks, Alvina! Nice to hear from you!